This was the very first comic book I ever owned! 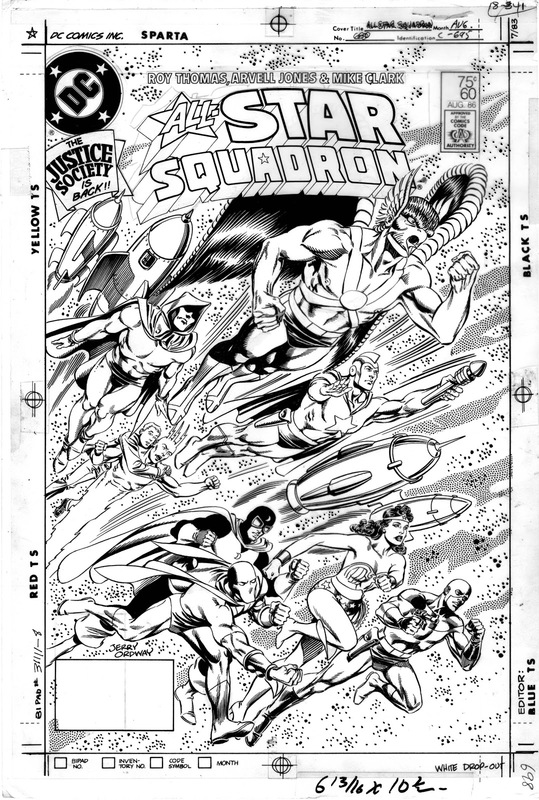 I love your All-Star Squadron covers. Very nice Jerry, man I loved this series. Wish comics were the same way they were in the 60's- mid 80's still. 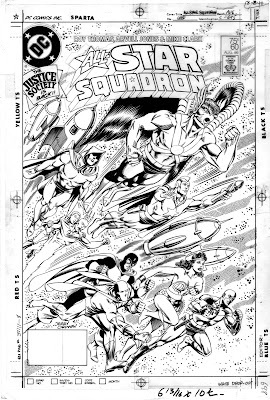 As I have told many people before, your work back then was one of the few things that kept me looking at comic books at that time (and actually buying some). It was kind of like the thrill I got years before when I'd see Neal Adams draw an established character he hadn't done before. And to see it on Golden Age characters just brought them more to life.